Card. Please follow carefully the instructions below. 1. Press ‘M’ on the keypad, the message [Change Roster] will be seen. 2. Press ‘N’ on the keypad, the message [Change SIM-Card] will be seen. 3. Press ‘Y’ for Yes. 4. The M30 will ask ‘REMOVE EXISTING CARD’. 5. 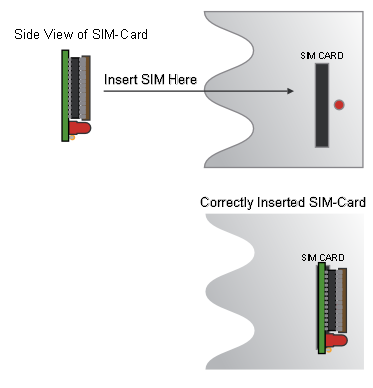 Remove the SIM-Card from the M30. 7. Insert the new SIM-Card. 8. Press the ‘Y’ key once the new SIM-Card has been inserted. The M30 will now start loading information from the new SIM-Card.